Acceleration.biz hosted their 2nd annual Digital Ignition symposium at the lovely Le Franschhoek Wine Estate. Intent on customer experience, brand recognition, community management and integration, this event was sure to keep the audience buzzing. The main focus for AV Direct was to create a high-energy interactive set that would allow speaker to engage with the guests. A low gloss-cladded stage allowed presenters to move about the conference venue freely. Frenetic led lighting displays welcomed new speakers up onto the stage, where a large format projection screen was centered to display full HD resolution video’s and presentations. Two 50″ flat led screens were mounted on either side of the set to display live twitter feeds using the hash tag #digitalignition. Above the screens were to poly-cut logo’s to create a 3D branding effect. 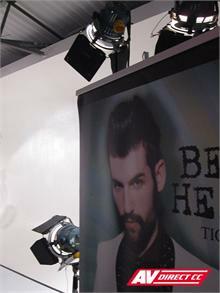 This was enhance by the use of BriteQ wash LED lights situated below and on stands to the back of the room. To get a break from all the action, guests had a comfortable dinner and drinks at the well-known Dish restaurant. Entertainment was provided by the talented stand-up comedian Ryan Oliphant. Corporate Events Newsletter: Turn Up The Heat!! This has been one of our hottest months packed full of energy and powerful events. Kicking off with the launch of the new Liverpool kit by Warrior Football. This event saw journalists, sports personalities and celebrities gather at the Cape Town stadium for a night full of interesting footbal stories, inspiring speeches for global brand awareness and topped off with an exciting stadium video projection. 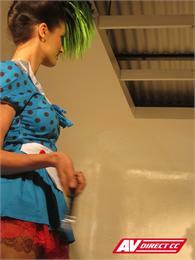 TIGI Hair International ended off their nationwide Candy Fixation hair show at the Dream Factory Studio this month. A night filled with fun, style and glamour. While Cape Town was hotting up, our Road Show crew headed on up to Durban for the Top Gear Festival to provide sets for the sizzling Ferrari Gran Cabrio Sport2. Grace your eyes upon these beauties and catch more coverage of the Top Gear Festival in Durban by checking out our blog page. AV Direct assisted New Balance and Warrior Football in the exciting launch of the new Liverpool kit held at Cape Town stadium. 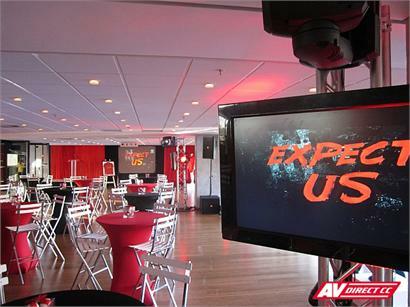 AV Direct also provided banners, trussing, red carpets, stanchions and plinths for the event decor. The launch was hailed as a fantastic success for Warrior Football, who are looking to change the face of football with their unique brand of marketing and socially driven campaigns. AV Direct setup a runway, lighting, sound and video for an exciting hair show that took place in Cape Town. The white infinity walls of the Dreamfactory Studio make it the perfect venue for lighting models and video wall projection. LED wash lighting was used to create a candy glow around the room while three projectors were setup running video, presentations and digital art onto the walls. 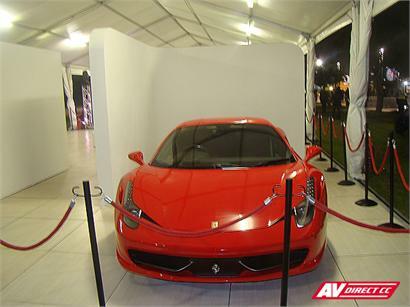 AV Direct was happy to assist with the set design for the Ferrari Expo at the Top Gear Festival in Durban this year. Playing a small role in the display of the beautiful cars, curved white infinity walls were designed and created by our set division in Cape Town. These were then transported up to Durban to be setup by our road show crew. June 2012 – Coporate Events Newsletter. “A huge thank you to you both – and to your team – for an absolutely stunning show for the launch of Warrior in SA. Your input was vital to the success of the evening and you guys produced way beyond expectations – THANK YOU ! From day one it was a pleasure working with you – the enthusiasm and professionalism you put in to your presentations from concept stage, to follow through and then to actual execution of the event was exceptional. It was unique, powerful and dramatic – just what the occasion called for. I have seldom worked with a more dedicated, professional and helpful duo – nothing was ever a hassle and you certainly paved the way to make my job that much easier and stress-free. The launch was a great success and on behalf of the Warrior and New Balance Teams please accept our thanks and congratulations. I look forward to working with you on the next Event! The Itron 2012 User Conference Video is now available on our YouTube channel, please go and have a look! “Wat n gerusstelling om AV Direct aanboord te he met n groot projek. Die professionaliteit, uitstekende diens en goeie gesindheid waarmee AV Direct en sy personeel kliente hanteer is n aanwins tot enige event. Owing to the high demand in road shows and national events AV Direct has purchased a brand new Peugot 3l Boxer HDI. This new addition to the family has been kitted out with hard wood and carpeting. To engage with customers all around South Africa, AV Direct will now have a total of 6 vehicles in its fleet to choose from. This includes a Volkswagen Sprinter, Kia flat bed, Hyundai 3Ton Truck, Hyundai H100 Van, Ford Bantam and the Peugot Boxer.